Find a new favorite sparkler for toasting the holidays. The holidays are upon us. And as we gather with family and friends, we may want something special to commemorate the occasion. 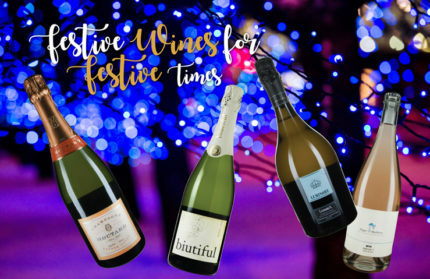 What better way to celebrate than with a bottle of festive sparkling wine? For sparklers, the first wine you likely thought of was Champagne. While it’s the most famous sparkling wine, and probably the best, it’s not the only option for celebrations. First, a little background on the wine-making process. Sparkling wines are made in two steps. First, grapes from the vineyards are fermented into a still wine. Then the wine is fermented a second time to create the bubbles. The second step is done in a sealed container to trap the gas. The traditional method—called the Champagne method—performs the second fermentation in the bottle you purchase. In the other process—called the Charmat method after Eugène Charmat who perfected the process—the second fermentation is done in a large tank rather than in the bottle. After the second fermentation, the sparkling wine is bottled. Easily the most recognized sparkling wine in the world, Champagne has become synonymous with celebration and luxury. 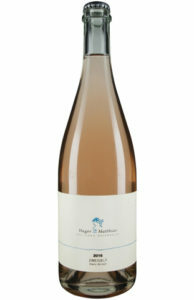 Typically made with chardonnay, pinot noir and pinot meunier grapes, these wines can be expensive for several reasons. First, the Champagne region is relatively small—about the size of Napa Valley—and worldwide demand is very large. Because Champagne must come from that limited region, the supply is small. Second, the production is very labor intensive. The bottles were once turned by hand, a process called riddling, which allows for removing sediment from the finished Champagne. Today this turning is largely automated, but there’s still extensive hand labor needed for production. Thankfully, it’s possible to find good values in Champagne by looking for smaller producers with lower demand in the marketplace. One such producer is Champagne Moutard, with wines that are bright with fresh fruit flavors as opposed to dried fruit notes. 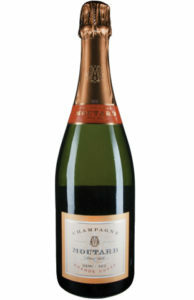 Look for Grande Cuvée Brut—a dry style Champagne—and Grande Cuvée Demi-Sec—a sweeter style Champagne—each for $28.99. The Grande Cuvée Brut recently received a score of 91 Points from Wine Spectator along with tasting notes describing flavors of white raspberry, verbena, pastry and honey in this wine. The next option for a sparkling wine for holiday toasting is Spanish Cava. The name Cava is not a region, a grape variety nor even a production technique. It’s the name of the storage cellars where the wines are aged. The name was adopted in 1970 as French authorities were trying to protect the name Champagne. First produced in the 1870s by Josep Raventós after he traveled to France, the wine was originally called Champaña. Because Raventos was trying to reproduce the wine he had in France, he used the same techniques as Champagne but used grapes that were locally available. These grapes have traditionally been macabeo, parellada and xarel-lo, but chardonnay and pinot noir are now also included. An excellent example of Cava to try is Biutiful Cava Brut Nature, at a very affordable price point of $11.99. This wine was rated at 90 Points by Vinous.com, with flavors of orange zest and honeysuckle. Another new wine term worth noting for sparkling wines—brut nature or brut natural—refers to the fact that no sugar was added at the time of second fermentation. These wines tend to be the driest of all sparkling wines. Italy also has its own popular sparkling wine, prosecco. While Champagne and Cava exclusively use the traditional method of sparkling wine production, prosecco uses the tank, or Charmat, method. Cava wines tend to be light with fresh fruit flavors instead of the richer and fuller taste of Champagne. The biggest difference between prosecco and Champagne, other than price, is the mouthfeel or mousse as it’s referred to in France. Champagne tends to have a smooth bubble feel that’s almost creamy, while prosecco has a sharper bubble feel more like ginger ale. That difference can be attributed to the way the second fermentation is done—the bubbles are created in a small container with the traditional method but in a large production tank in the tank method. A good choice to try is La Marca Luminore Prosecco at $24.99. This wine, from the Conegliano Valdobbiadene zone of Italy, scored 88 Points from Wine Spectator and garnered tasting notes of melon, white peach and lemon. 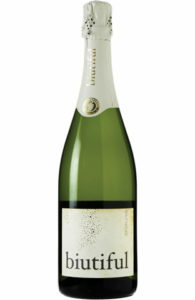 This prosecco will be on sale at Fine Wine & Good Spirits stores in December for $21.99, good timing for holiday sipping. Relatively new on the scene is Pétillant Naturel, a sparkling wine that comes from the “natural wine movement.” These pét-nat wines, as they’re called, generally have a soft effervescence, are cloudy from sediment, and often use a crown cap (like beer bottles). To understand these wines, a short history lesson helps. The first sparkling wines were more or less an accidental product. A farmer would ferment his grapes in the barn until winter arrived. The cold temperatures would cause fermentation to stop. This unfinished wine would then be bottled and stored. Spring temperatures would allow fermentation to begin again, and the sealed container would capture the bubbles. Voila, sparkling wine. Even though there’s a bit more technical sophistication today, winemakers are reproducing this early form of sparkling wine. The term pét-nat dates back to the late 1990s, when natural winemaker Christian Chaussard from France’s Loire Valley introduced it. If you’re new to pét-nat, a good place to start is with Matthias Hager Zweigelt pét-nat, $24.99, from Austria. This biodynamically produced wine is not as rustic as many pét-nat wines. It’s bottled clear and has crisp flavors of raspberries and white peaches. These wines are more difficult to find, so look for Pétillant Naturel, méthode ancestrale or Col Fondo on the label. No matter which you choose, here’s to a sparkling holiday season! Cheers!